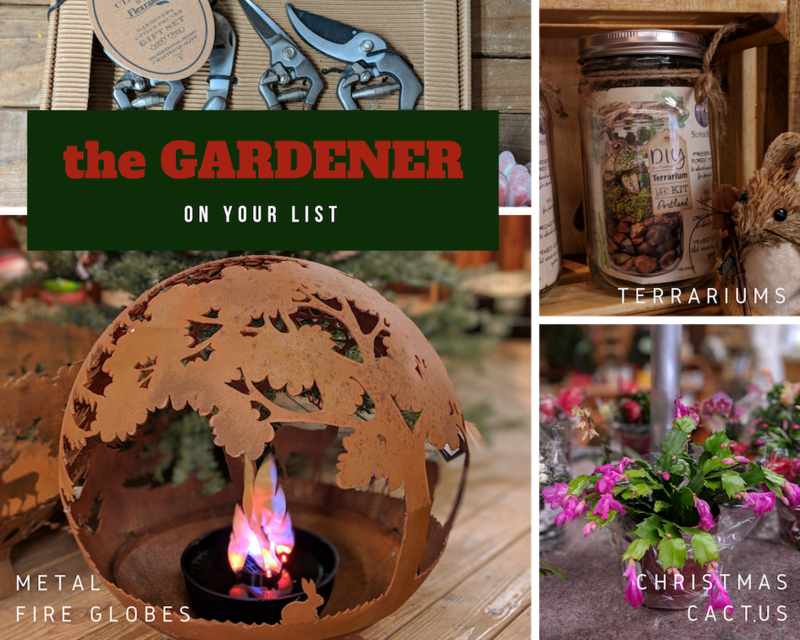 Fun Gift Ideas for Everyone on Your Holiday List — Masterson's Garden Center, Inc.
I’m not a shopper, and as a general rule I do not like to be in the vicinity of a mall or shopping center between Thanksgiving and Christmas. I’m sure there are great gifts out there, but I prefer to shop at small stores and find handmade, unique things. Here’s my gift to you…a bunch of gift ideas for everyone on your list! Stop in and we’ll help you find something for even the hardest to buy for person., no lines, no crowds, just cool stuff! This fire globe is my favorite thing in the store! We have a few styles and sizes, and they are all amazing. Beautiful tool sets are a great gift that gardeners don’t buy for themselves. More of a DIYer? Terrarium kits are fun and easy. And Christmas cactus. Because. These blown glass ornaments are beautiful, and need to be hanging on every beekeeper’s tree. 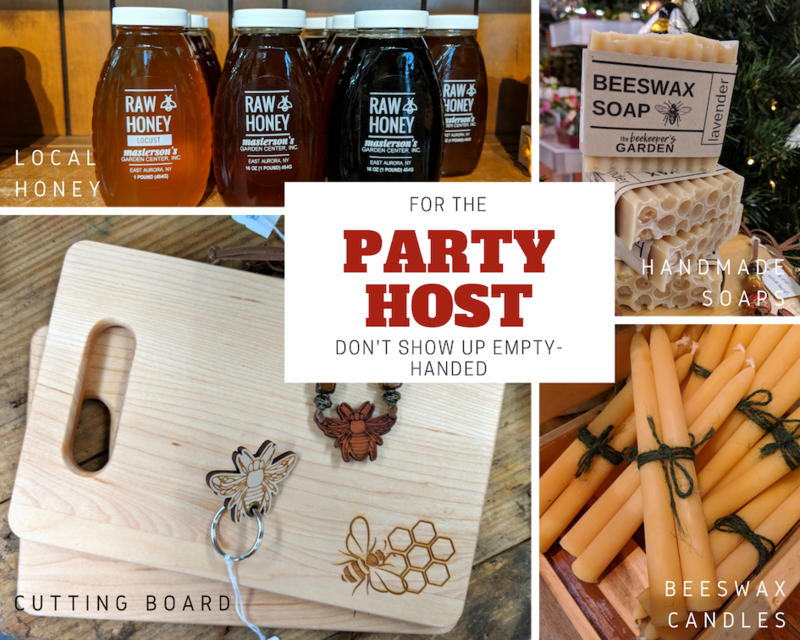 Bringing a bottle of wine is cool and all, but step up your host/ess gifting this year! How about s really unique gift for someone special? We have our Beginner Beekeeping Classes scheduled for early 2019. A new beekeeping hobby is a gift that keeps on giving! We have beginner classes, and also a hive building class. Check out our events page for more info about what we’re offering.